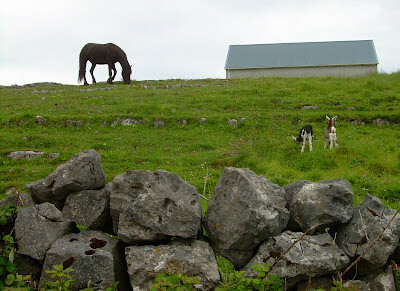 I had a lovely cup of coffee in totally different planet, Inis Mór, the largest of the Aran Islands yesterday afternoon. - Why a different planet so? 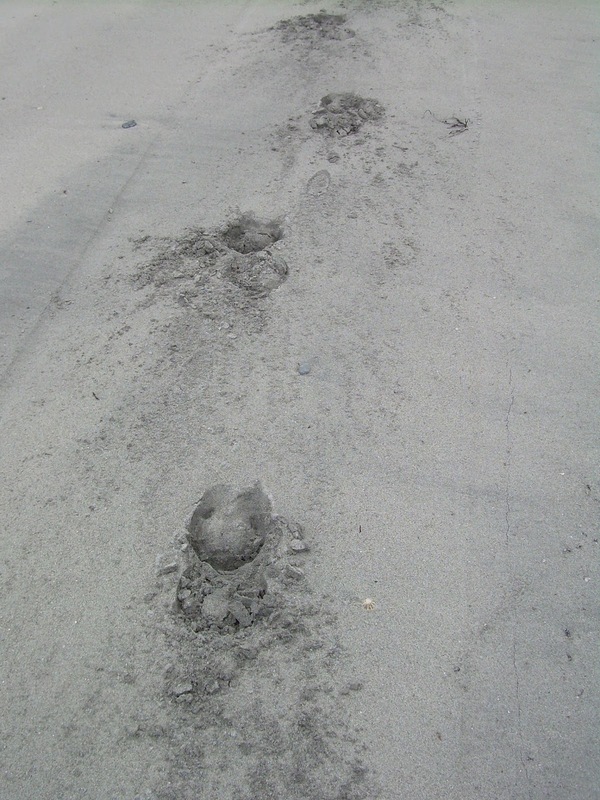 Like the other 2 islands, it was made livable by man. 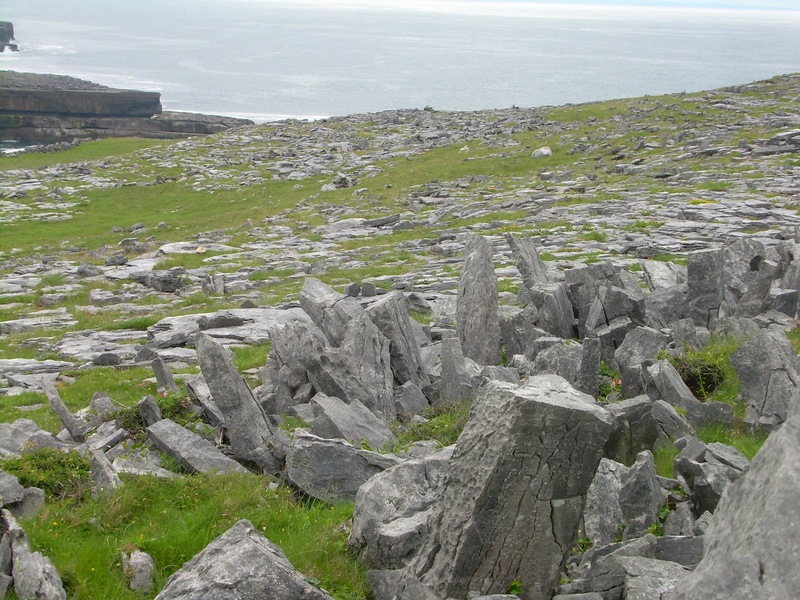 Following the Ice Age the melting glacier swept over the rocky, lime stony grounds and left vast amount of stones behind for the Irish ancestors to clear out of their way. Which they did indeed by building thousands of stone walls not forgetting their houses and cattle sheds, etc. of them. 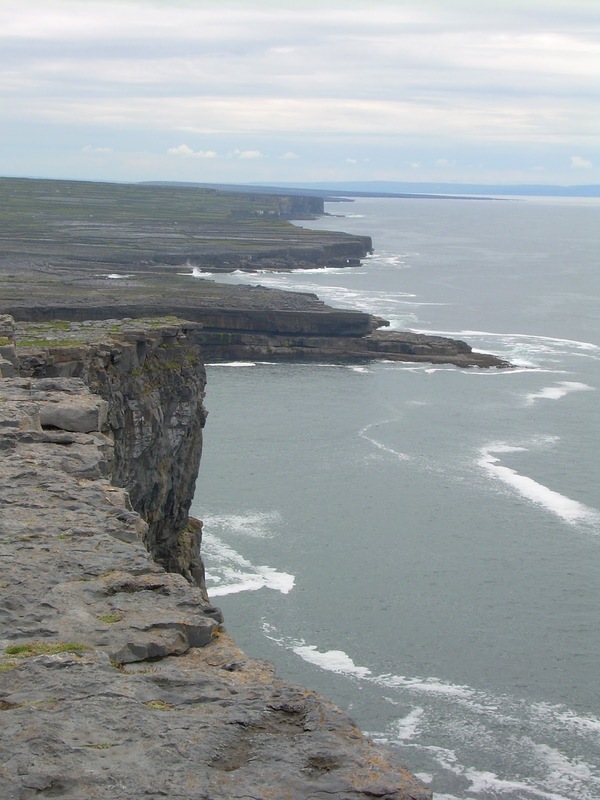 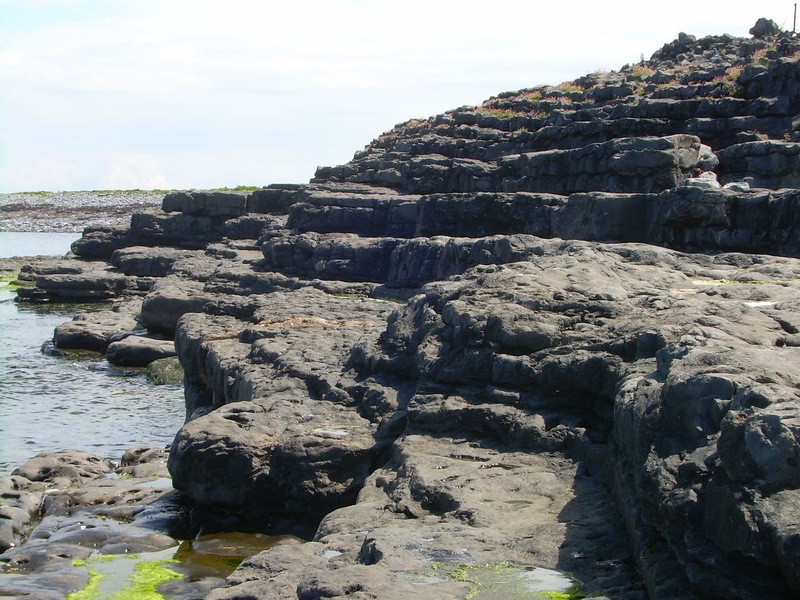 The gray stone walls are scattered all over the islands and Irish west coast - like blood veins! 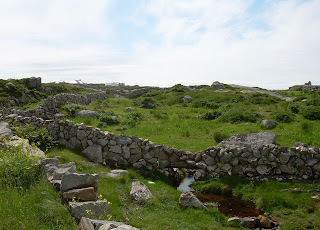 For greens between the walls they layered roots and weeds dug out between the stones and rock cracks with seaweed to make soil. Along the years this composting resulted in enough of it to grow grass for the cattle and also feed themselves with the fruits of the land. 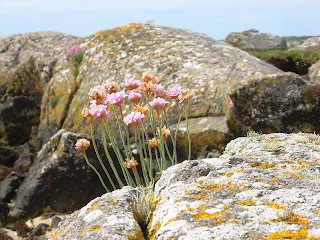 Chive-look-alikes pushing their way out through the cracks in the rocks - a beautiful mix of colours! 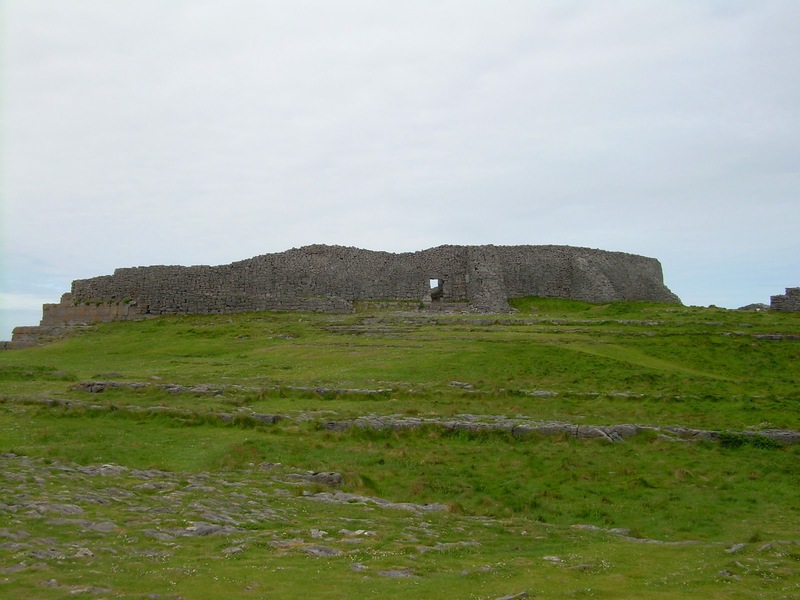 While waiting for my ferry to actual Inis Mór to start boarding I went viewing the stonewalls of Connacht - story tells that in old times the British criminals were given 2 options, either to go to hell i.e. be sentenced to death or go to Connacht to help building the stonewalls - Looks like they picked the last option! 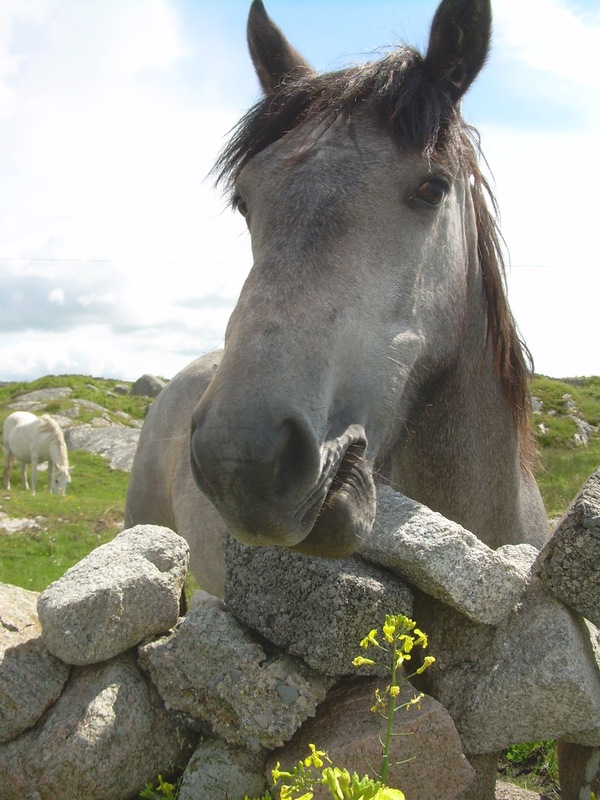 At another set of walls I bumped in this friendly chap, a very handsome representative of area's own horse breed called Connemara Gray. 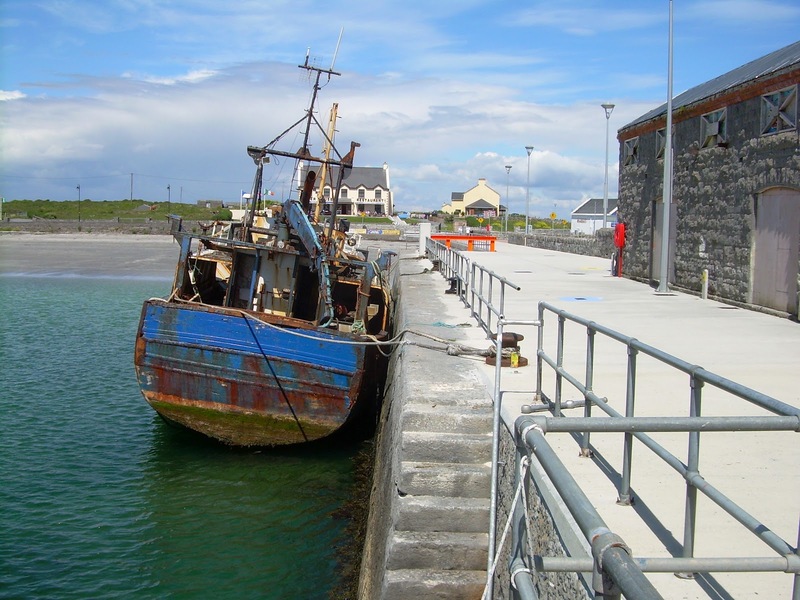 Kilronan village greeted the arriving Aran Ferry passengers with warm breeze, clear turquoise water and powdery gray sand beach. At harbor I swapped a tenner to a bike and headed to the cliffs I've always wanted to see - yes, even though I'm terribly afraid of heights! 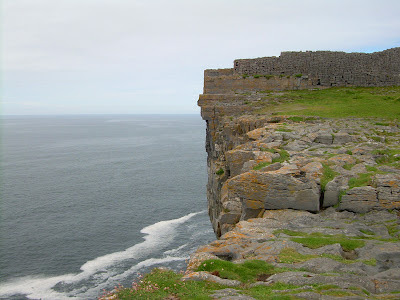 The Dun Aonghasa cliff edge stone fort - I quite obviously didn't take this photo myself - please click the photo to read more about this 4000 years old building. 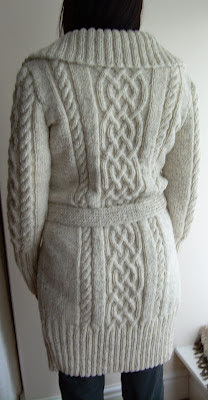 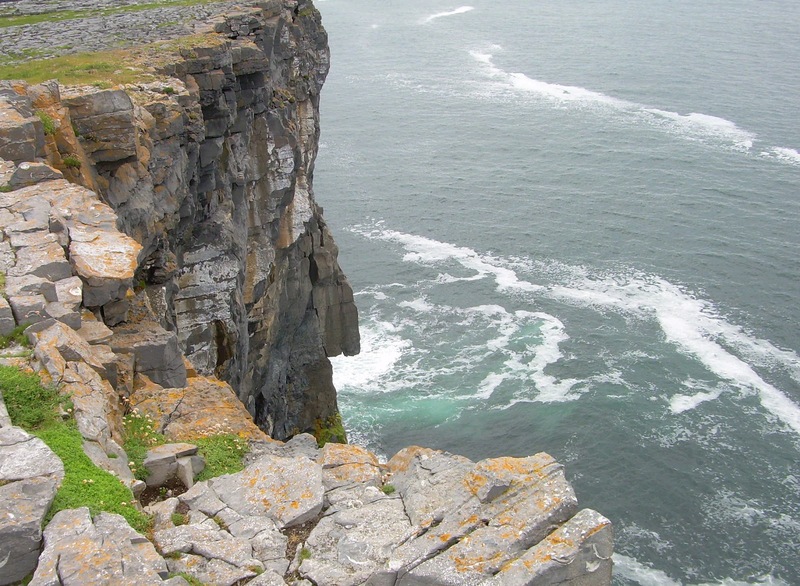 For fashion, the Aran Islands are home for Aran jumpers. I was wearing the one I made myself from 100% Aran sheep wool about 4 years ago and it proved to be brilliant choice in the summer night breeze. 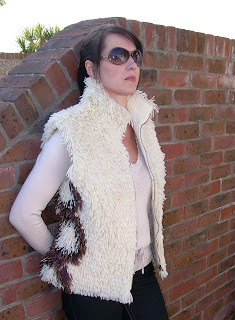 During the day I was really missing my woolen tufted chain vest which efficiently keeps the stronger wind away from the torso yet it's lighter than the knee length cardi. 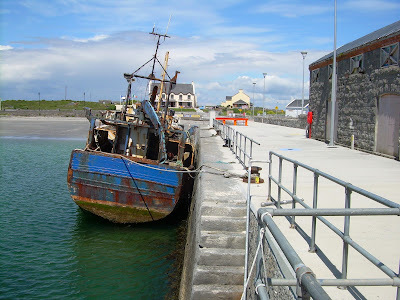 - I'll certainly remember to bring it along to my next Irish seaside destination! 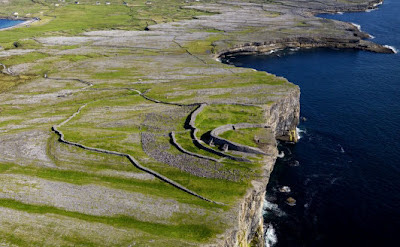 Oh wow, great photos and it looks like you got great weather Heli. 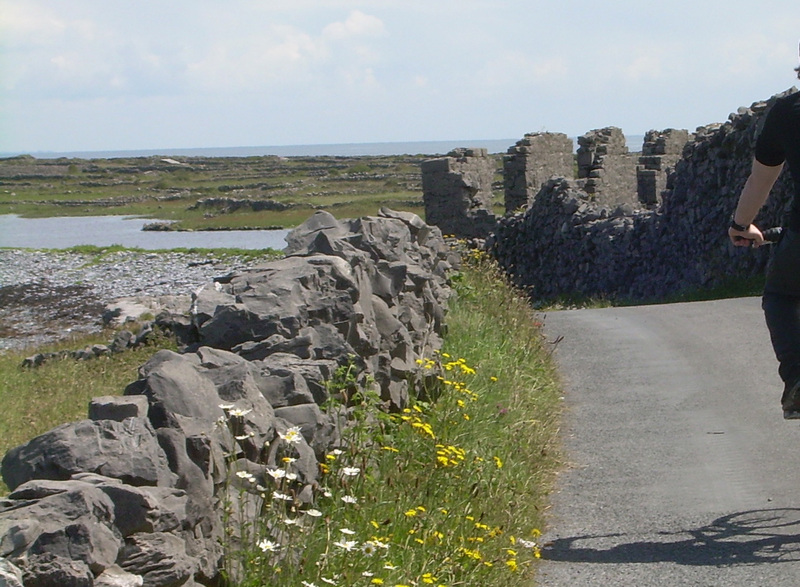 I'm ashamed to say I havent been to Aran since I was a kid. Must revisit.